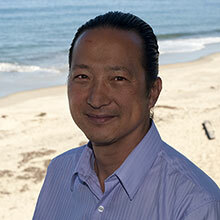 Douglas Au came to MBARI in 1994 as a software engineer to work on the remotely operated vehicle Tiburon. He led the sea trials and operational engineering effort for this vehicle, MBARI’s first major engineering initiative. Doug has worked on ROV and AUV software, and has specialized in real-time and embedded systems design and development. In 1999, Doug was selected to lead the newly formed Support Engineering group at MBARI. The group’s prime responsibility is to provide sustaining engineering, manufacturing, and technician support for the institute’s engineering developments as they transition to research use and marine operations. Doug now serves as the director of Engineering and has been a member of MBARI’s senior management team since 2006. His duties include oversight and management of the Engineering Department and coordination of all MBARI projects, offices and laboratory space. Doug serves on MBARI’s Intellectual Property Committee, the employee retirement investment committee; and is the chair of the Export Compliance Committee. He has also served on numerous external committees, including advising the National Science Foundation’s Polar Programs and chairing NSF’s Ocean Observing Initiatives Engineering Advisory Committee. Doug holds a bachelor’s degree in computer science from California State University, Hayward.